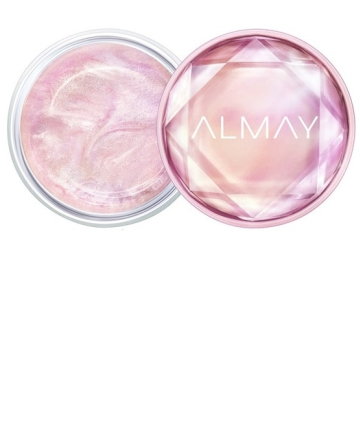 Almay Make Them Jelly Hi-Lite, $14.99 This highlighter will win you over from the moment you see the gorgeous jewel-like packaging. What's inside is just as opalescent. Open the lid to reveal a pleasingly squidgy, shape-shifting highlighter that's packed with sparkles. The universally flattering iridescent highlighter comes in two shades: mermaid and unicorn (obvs). The hypoallergenic formulas deliver plenty of shimmer and hydration. Don't be afraid to mix them with moisturizer or foundation to create different effects.